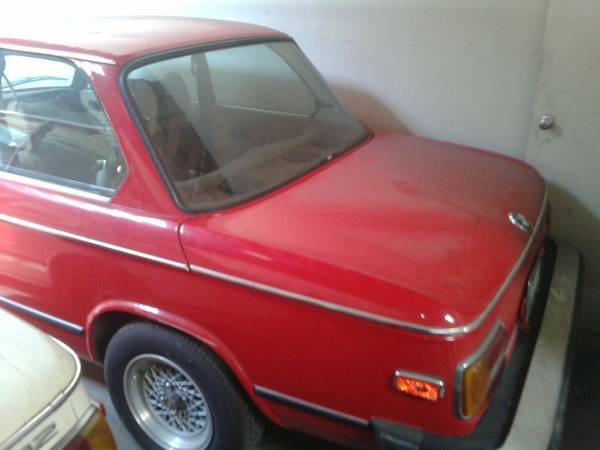 So rumor has it BMW 2002s are supposed to be the poor man’s 911 if you want to play in the collector car bubble. And who doesn’t like playing in a bubble? As real estate investors can tell you, it’s crazy fun – things are going up up up, everyone’s excited, and nobody is too worried about the end of the ride. Raise your hand if you don’t like fun! That’s right, as expected… so better get your hunting cap and find a ticket for the ride. 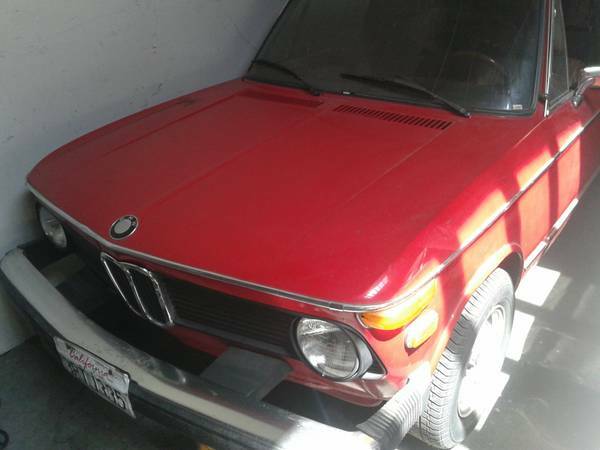 Check out this 1974 BMW 2002 pair, for sale for $3500 each in Redwood City, CA. So the deal is, there’s a white one and a red one, and you get to pick one. Unfortunately, these are the less popular big bumper, square tail light cars. However, small bumper conversions seem to be gaining in popularity, and you could argue there’s actually better design continuity (and safety) in the boxy cars with the square lights. 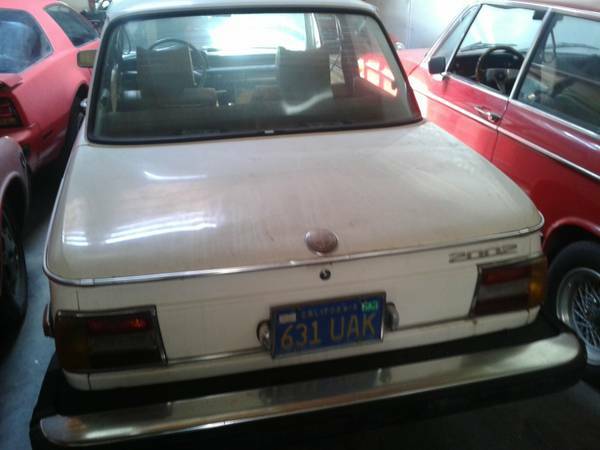 Picture round tail lights on a Volvo 240 – that’s right, you can’t! Details on the car are limited to “Both in good condition”, but it looks like the white car’s blue rear plate shows a 1990s registration sticker. The red car seems to have BBS mesh wheels and some kind of upgraded stereo system, part of which is visible in the rear parcel shelf. There’s also a funky wood-rim aftermarket steering wheel visible. The white car looks to be stock, with bus-size steering wheel and armchairs. Both cars look to have glossy paint, to be complete and in generally good cosmetic condition. If you’ve been looking for a fairly-priced 2002 and these are in running condition, they could be quite a good deal. Nevermind the bubble, just buy buy buy! This entry was posted on June 8, 2014 at 5:00 am and is filed under Feature. You can follow any responses to this entry through the RSS 2.0 feed. You can leave a response, or trackback from your own site.